Marvel Comics and Rob Liefeld are launching a new X-Men character with Major X, who will be introduced in an all-new, six issue mini-series event written by Liefeld with art by While Portacio and Brent Peebles. The major (pun intended) new Marvel published Comic is a brand new X-character event from the creator of Deadpool, Cable, X-Force, and Domino, that recalls the 90's era art and storytelling that Liefeld made so popular. It is a 6 part event mini-series, shipping twice a month from April to June scripted and drawn by Liefeld with additional art from Whilce Portacio (X-Men, Image Comics) and newcomer Brent Peebles (Teen Titans), in his Marvel debut. It introduces never before seen conflicts and a whole new world of characters in a realm called the X-istence alongside already long-established characters like Cable and Wolverine. 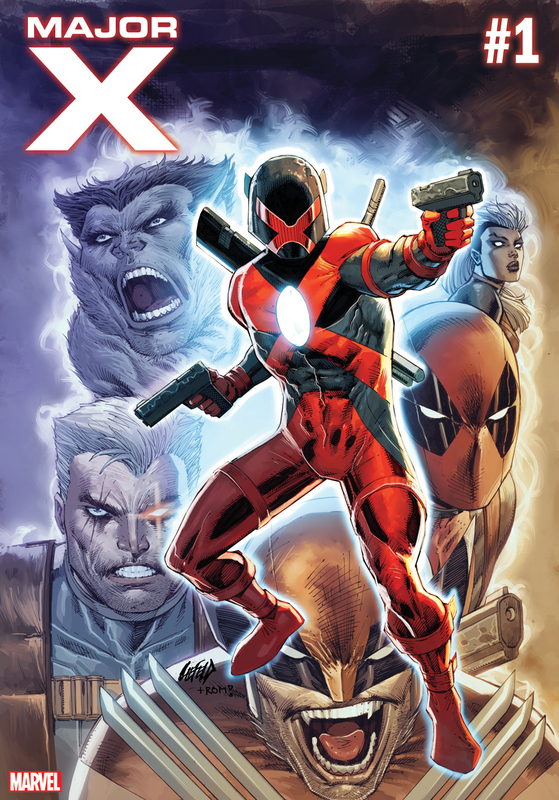 Marvel is thrilled in its 80th Year to be re-teaming with Liefeld, with whom they have had an illustrious relationship with for over 30 years to bring the exciting new mystery "Who Is Major X?". Trust us when we say you will want to know!